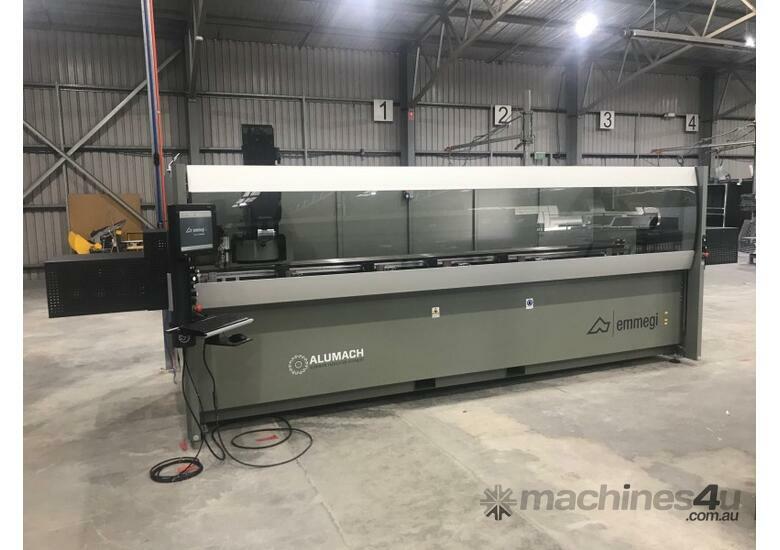 4000mm CNC machining centre, with 4 controlled axis. 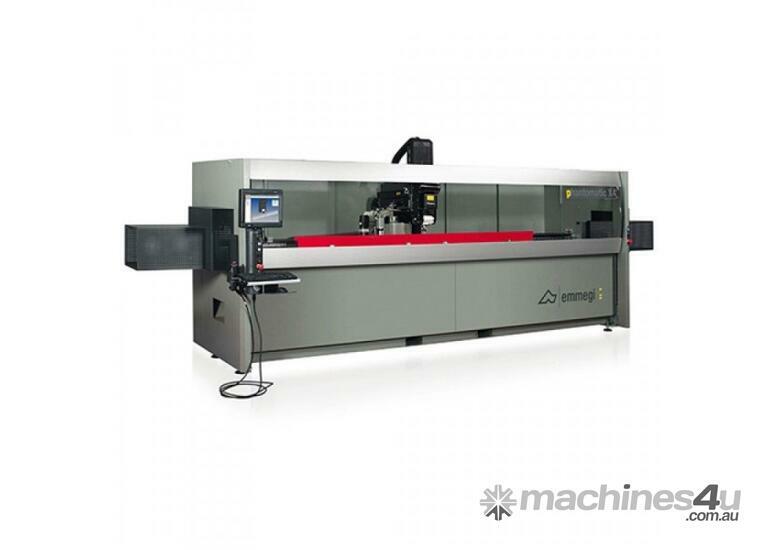 Designed for machining bars of aluminium, PVC, light alloys in general or steel up to 2 mm. 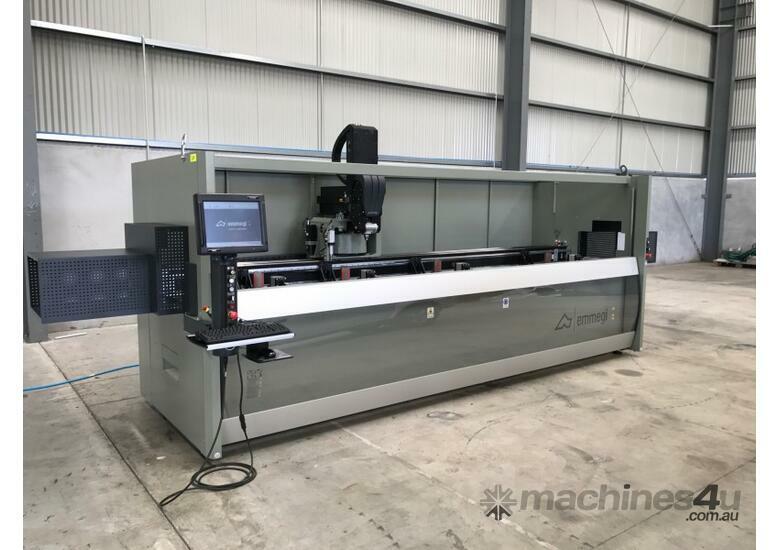 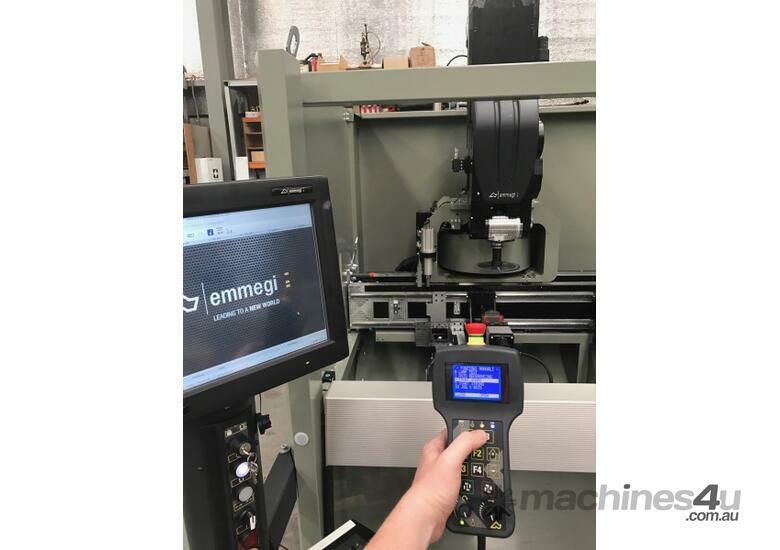 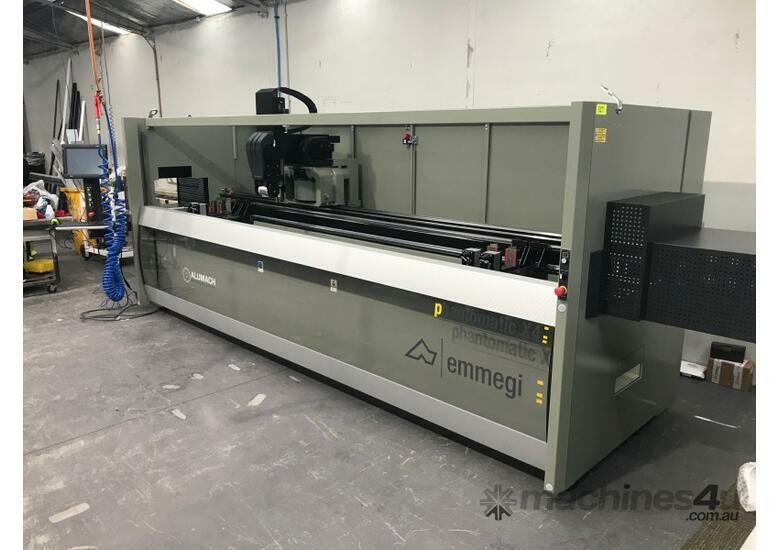 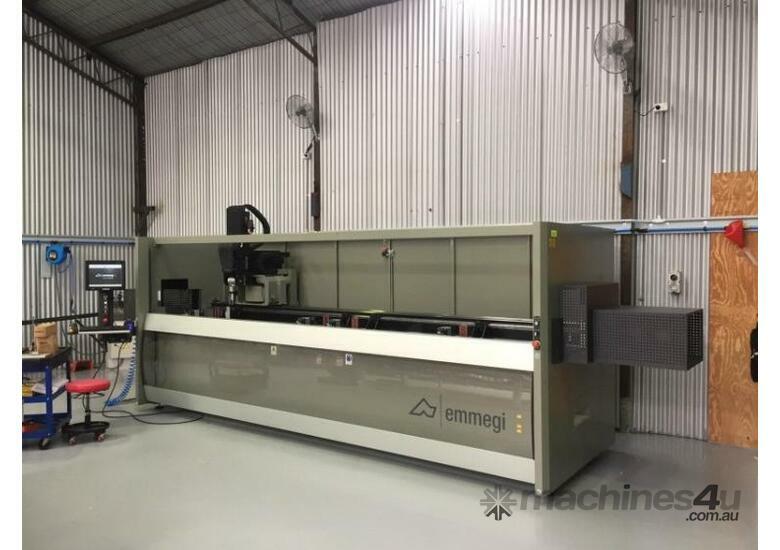 It is equipped with an 8-place tool magazine which moves onboard with the spindle with the possibility of hosting 2 angular units and one milling disc, it can perform machining on the 5 sides of the piece working bars up to 4m long. 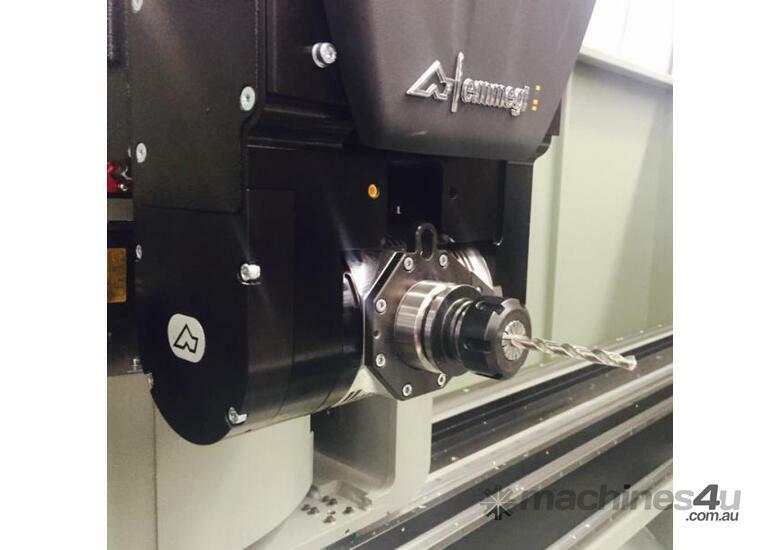 The 4th CN axis allows the electro spindle to continuously rotate to from 0° to 180° to perform the work on the profile contour. 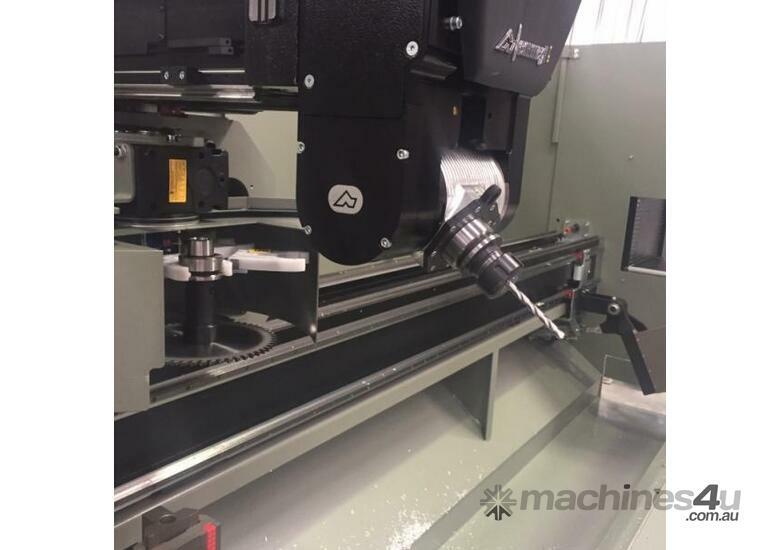 It is equipped with a moving work table for easier workpiece loading/unloading which also allows considerable increase in the machinable section. 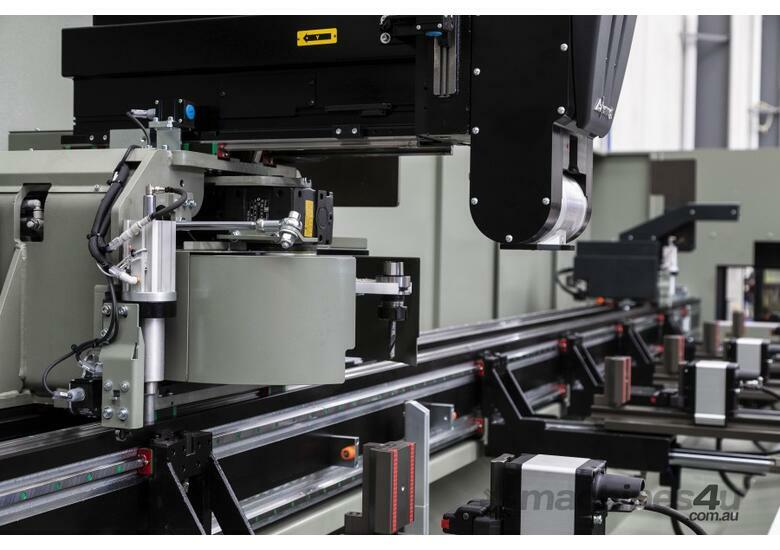 Adding a second optional stop on the right side, the machine may perform extended machining of bars up to twice the work (8m max capacity).